Devils Lake - After one of the longest Devils Lake ice fishing seasons ever, anglers are preparing for the next big season on this popular North Dakota lake. Fishing seasons are open year-round. That means once the ice gear is stored, the period before Devils Lake is ice-free is dedicated to catching fish from shore. There are almost an unlimited number of places to fish from shore. In addition to three new ADA-compliant fishing piers and many bridges and culverts, there are 26 miles of shorelines where the public may fish. As the ice pulls away from shorelines, entire families pursue walleyes and northern pike. Imagine a round lake with 26 miles of shoreline with fishermen casting from any spot and catching walleyes and pike. By comparison, if that was a lake in the Land of 10,000 lakes, it would rank among the 10 largest Minnesota lakes. Or, another way to look at these amazing opportunities, imagine if anglers were able to fish along the entire Boston Marathon course. Many of the shorelines consist of rock rip-rap to protect the roadways. Area fisheries manager Todd Caspers said, “Pike fishing can be great during the spawn, and once they’ve recovered and start feeding aggressively, pike fishing remains good until aquatic vegetation makes shore fishing difficult.” He offered some of the “hot-spots,” as anywhere the lake touches Highway 19 and both sides of the road to Graham’s Island state park. 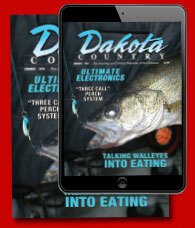 “Walleyes can be caught in the same area, but as the season moves along, most anglers concentrate near bridges,” he said. In the 2017 fish population surveys, Caspers said, “Northern pike numbers were above average. There were twice as many 28 to 34 inch pike in nets compared to the long-term average.” He encourages anglers to harvest limits (5 daily and 10 in possession). Videos on the Devils Lake website describe fillet techniques at devilslakend.com. Guide and World Walleye Champion Johnnie Candle said, “I am shocked at how many people spend thousands to cross into Canada, jump in a float plane and not catch as many pike on purpose as I catch by accident on Devils Lake.” TV host and guide Jason Mitchell said trophies over 40-inches are caught each season. He recommends these monsters be released to fight another day, and keep the three to 10 pounders for the table. Channel A: Drive 8 miles west on Highway 2. Turn right (north) on 75th Ave NE for one mile. At 54th St. NE, turn right (east) for about two miles to the 8 x 36 foot pier. Water flows into the main lake from the upper lakes via this channel. There is not a large amount of snow in the watershed this year, so inflows will not be large, but Channel A is traditionally a good area. East Ditch Rec Area: Just east of Walmart, turn south on Elks Dr. for one-quarter mile. Take the first left towards the pump station and dike, and drive to the 8 x 40 foot pier. Now fully functional. Also has a playground. Henegar Landing: Drive one mile west on Highway 19. Turn left on Walleye Dr. for one mile to the 8 x 40 foot pier. The fishing piers were built to withstand decades of constant use and the vagaries of Mother Nature with marine-grade aluminum and galvanized steel. Favorite shoreline angling pike tactics include floating Rapalas, spoons, jigs with plastic paddle tails or smelt or dead bait below bobbers or on bottom. Walleye anglers prefer jigs and plastic, small crankbaits, leeches or small minnows below bobbers. For more information about shore fishing and walleye, pike, perch and white bass reports, go to devilslakend.com. 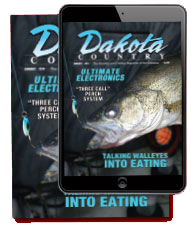 This website also includes details about the June 22-23 Chamber walleye tournament, Devils Lake motels and resorts, fish cleaning stations, water levels, ramps, public fishing piers, community activities, guides, dining, casino and much more. Or call the Tourism office, 701-662-4903.